In case you missed my instagram or facebook announcement a few days ago, I'm excited to announce that the next Bohemian Collective Magazine will be available for purchase on 11/11, the upcoming new moon, in just a few short days! I'll let everyone know where it's available to buy on the day of the release. Ive been pretty MIA in the online world lately, but I'm going to try to share a few more sneak peeks on instagram leading up to the release. I'll be back in a few days to share a bit more about here too. I just posted this as my facebook status. Then felt called to write about it here. I really am. So constantly inspired by others, and blown away with their creations, love, and so much more. I have been working with other artists for years now, through collaborations of all sorts. This community is one of the kindest, loving and sincere groups of people Ive ever met. I guess partly b/c when we communicate with each other, we get each other. We understand the artist within the other. We are kind of our own breed in a way. Along the way I have met many who are just competitive, jealous, judgemental, petty, or only show up to use you... but luckily I can say they are fewer and further between these days. It feels like the Art community has softened the last few years (at least within the people I have come in contact with) and even myself. Or maybe its b/c when I recognize those qualities in people I tend to just leave them alone. There is more community, and rising up for each other, and sharing each other out of love. Ive been working on building the spring issue for the Bohemian Collective Magazine, and the heartfelt exchanges that go on through this creation are so overwhelmingly beautiful. I feel so honored to be working with so many people with such big hearts. I also feel so welcomed and loved through this community, which only further feeds my passion for what I do. I have made some of the best of friends through this. And while I can't personally connect so deeply with each person, the small connections made through simple emails are just so sweet. Sometimes it just fills me to the brim with joy. I love what I do. 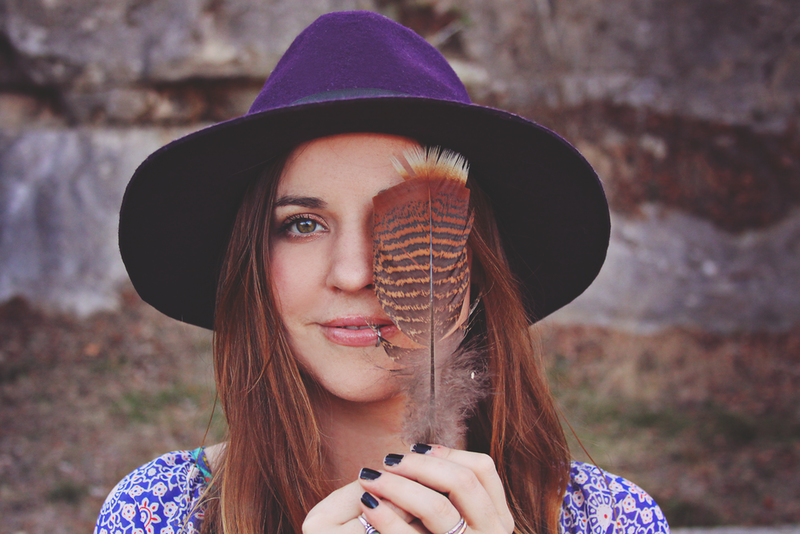 Hey guys, a brand new Autumn inspired lookbook just hit the site over on Bohemian Collective. One of my favorite ones yet. Go check it out! xo. 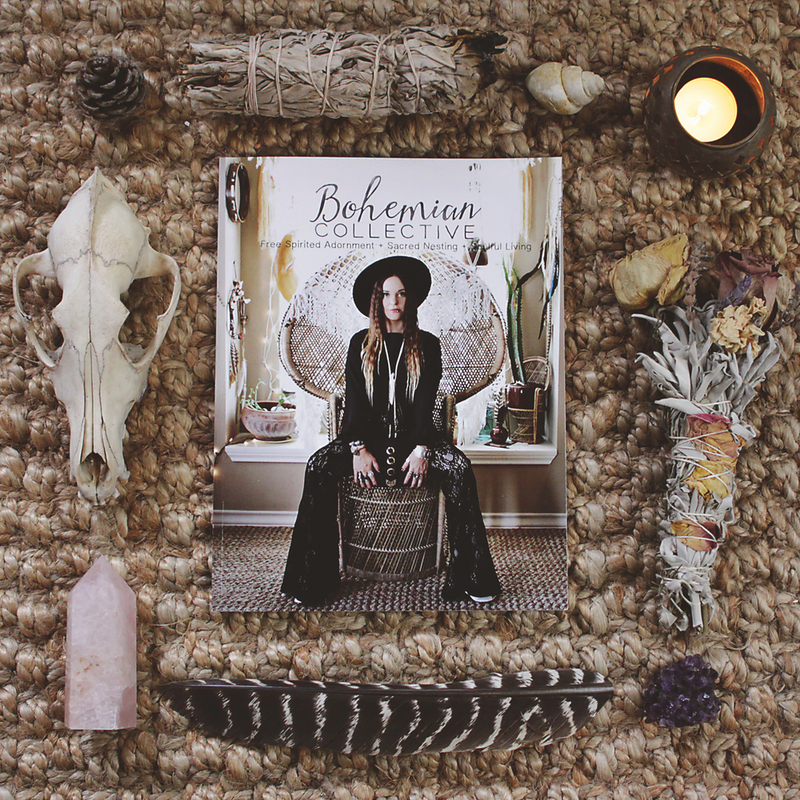 In celebration of the upcoming Bohemian Collective Magazine launch on Oct 15th, I am giving away 3 prints copies over on the boho blog! You can enter though the blog or through instagram. You might want to keep an eye out on my Contributing Editors pages as well b/c they will also be giving away copies throughout the week!